Good Morning! Have you missed me? 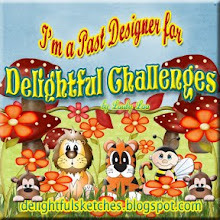 Please tell me you have - because I certainly have missed creating and posting and sharing and all that stuff!! It's been a busy week. My new job has me in a bit of a whirlwind. Training, which is supposed to be 3 weeks, was crammed into a week and a half and were already taking calls. I've been on phones for 3 days now and it's getting a bit easier. So I am hoping that with settling into my job and establishing my comfort level, that I will be able to get back to stamping. My new friend Evelyn and I decided to make goodie bags Thursday night for the people in our training class, the managers and a the few others that we knew at work. We baked these super yummy cookies that are chock full of butter, oats, raisins, walnuts and the most important ingredient - CHOCOLATE! I made tags. I was really disappointed in myself that I hadn't taken my camera with me so I didn't get a picture - well I had a few bags leftover, so now I can show you what we did. Here's a close up of the tag I made. 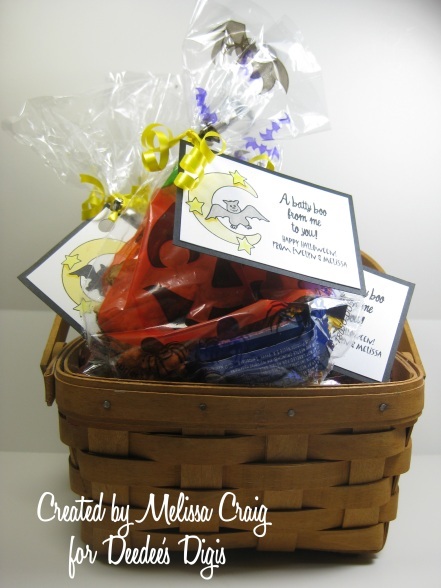 I kept them really simple because we were making 50 bags up the night before we were to deliver them. I think they came out really cute. 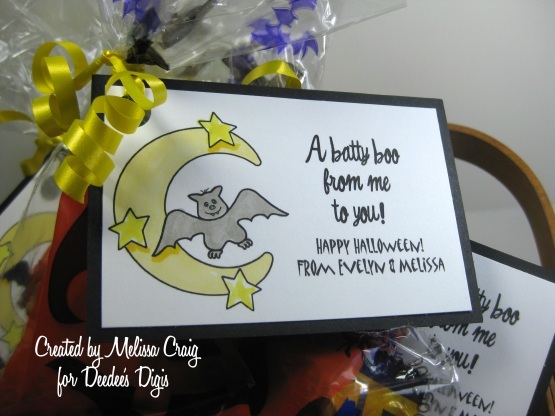 I used Deedee's Digis Batty Boo set and then added a text box for our names. I put them in a basket and left on them on the table for my kids. They were pretty excited! Well, today I am going to try to get as much stamping done as I can! I just finished one card that I'll share at the end of this week. I will also be sharing some exciting news very soon, too! At least its exciting to me. Have a super Saturday and Happy Halloween!! Good Morning! I have to be fast with my post, I have to leave for work shortly. 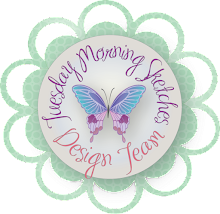 It's Tuesday so that means I have another fun sketch for you to play with on my Tuesday Morning Sketches challenge blog. 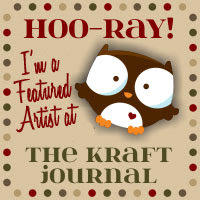 Also, Roberta from Prairie Fairy Designs is back with us as our sponsor. It's going to be a fun week! 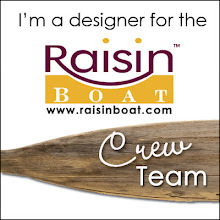 Roberta provided the team some really great images to work with. Here's my card. This little kissing cutie was so much fun to color up. I think she is adorable as a red-head. The greeting is something I made up and I think it's just as fitting as can be. I do hope you join us this week! See you over there at the TMS blog. Have a great Tuesday! Fall is such a marvelous time of year! God's great bounty is so very visible -- in the harvest of crops that will sustain us through the coming winter, in the glorious display of leaves and foliage, and in so many other ways! It is little wonder that we find ourselves feeling thankful thoughts at this time of year particularly, though it is good to be thankful at all times. * To participate, visit each of the participating designers' blogs to see a fun project using one of our digis, and leave a comment on their post for a chance to win a free digi of your choice from our store! You have until 12 noon ET on Sunday to comment. Each designer will choose a winner Sunday evening, and we'll announce them all here on Monday. Please be sure to check back then to see if you have won! * Before you go hopping off, be sure to leave a comment here, too for a chance to win a $15 credit at the store, spendable on any of our products. Again, you have until 12 noon Eastern time on Sunday to comment, and we will announce the winner here on Monday . * And FINALLY...there is a little freebie for you on Crafting with Deedee's Digi's that is perfect for this Thanksgiving season. 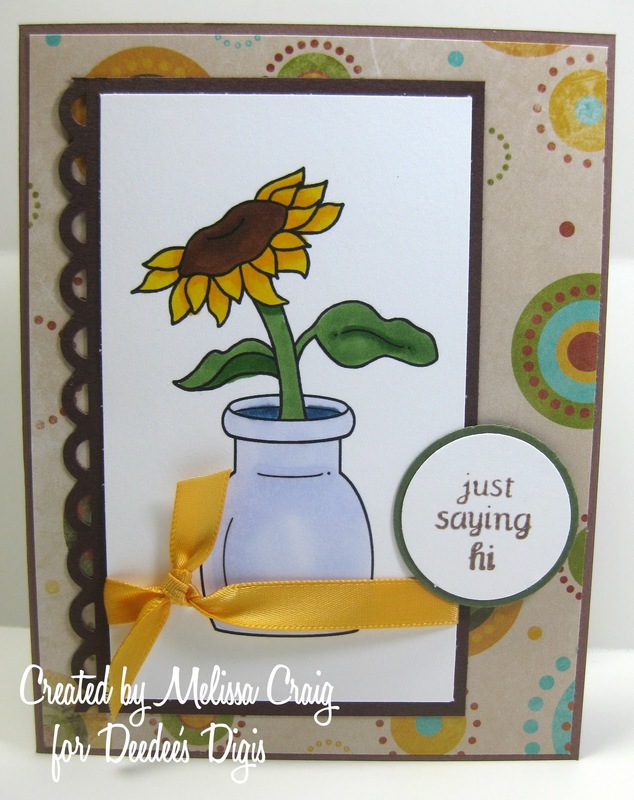 I also made this card following a great sketch on Papertake Weekly. I had a lot of fun with this sketch! Good Morning! I hope you're week is off to a great start. I have a really fun sketch to share with over at Tuesday Morning Sketches. I do hope that you'll join us this week. 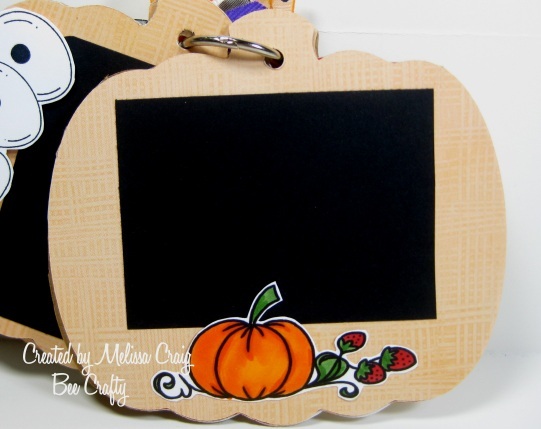 We're being sponsored by Bee Crafty and I know that you've seen her adorable digi images around and here on my blog. I also added the twist to THINK PINK - October is Breast Cancer Awareness month. This card was little tricky for me to do all that I wanted to do with it, but I managed. It's definitely full of pink and hearts but I just wanted to convey the love that I have for my sister who is celebrating her 3rd year of being cancer free. 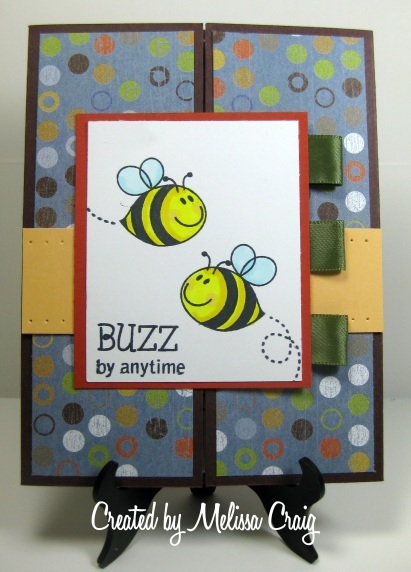 I did alter the image from Bee Crafty just a little. The sweet little lady actually has a birthday hat on, so I removed that in my photo editing software and then drew a line to finish her head as best I could. I also found an Awareness Ribbon somewhere on the internet (I should've written it down to give proper credit) that was in .gif format so it's transparent and "laid over top" the balloon nicely. I would also like to challenge you, whether or not you play along with us, that you create a card and send it to a special woman in your life that may be affected by this horrible disease to encourage her through her battle or perhaps to someone to encourage them to do their self-exams and have their yearly check-ups. Early detection is key. Thank you so much for stopping by today. I do hope you join us this week. Remember to Think Pink and Fight Like a Girl!! Good Morning! I hope you are enjoying your weekend. I have had some fun being back in my crafting corner. I have another card to share with you today that is for my monthly card traders group. Now I am all caught up with that! My group ladies will be so proud of me. 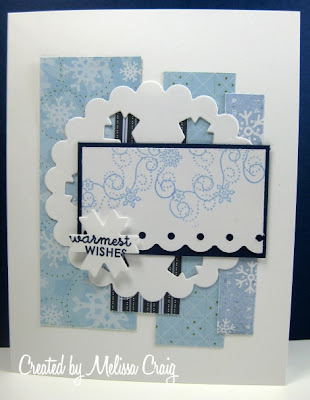 The challenge for my group was to add paper piercing to the card. I am thankful for an easy challenge this go-around. I also drew inspiration from a new blog (new to me anyway), Um Wow Studio. 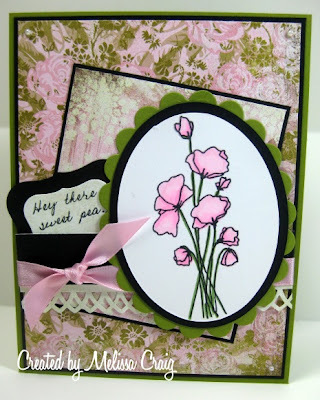 There is a fabulous sketch on this blog that I just had to try! Cute Card Thursday's challenge is called What's Buggin' You and Charisma Cardz Challenge is to use more than one fold. Just so we're clear on the colors - the base is Chocolate Chip. I can't really tell what this card looks like. I am posting this in the morning and I have the morning sun blaring in my room so there's a bit of glare. Anyway, here's the front of the card and I was a bit hestitant to put bees with these colors, but in the end, I think the card came out really cute. 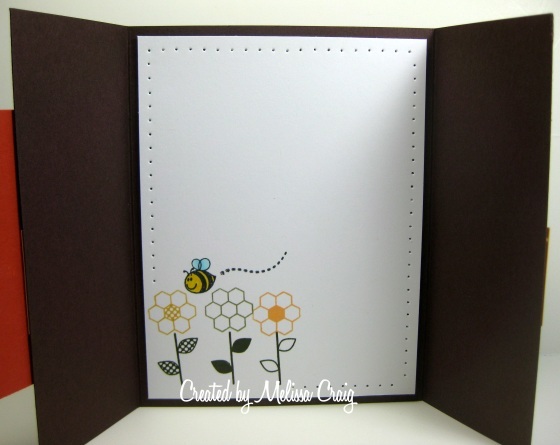 I created a gate fold card but since the base is brown, I decided the inside better be decorated with something easier to write on. So I added a white panel and decorated it up a bit with more stamping and more paper piercing. I hope you enjoy my card and that it inspires you to come visit me! LOL Have a great day, enjoy the rest of your weekend. Good Morning! Happy Saturday! Have you all missed me? 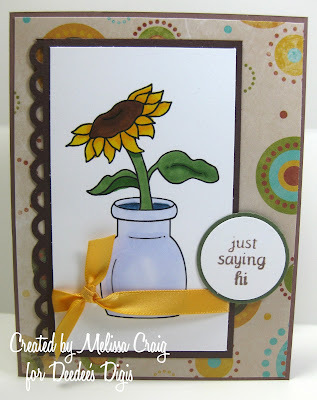 I've missed you and I've missed stamping. I started a new job on Wednesday so the creative mojo was drained right out of me. I am behind on my monthly card traders group challenges, so it was time to catch up. Here's what's sad, this was the challenge I issued! But after having my coffee this morning I found some creative juices (and hope they continue to flow) and made this card. 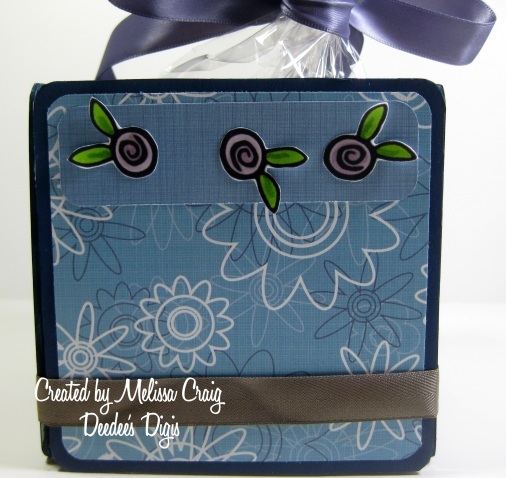 This is a slider card - I found the tutorial on SCS and then Deb found another video by Dawn Griffith. Ultimately, that video is the one I followed. You can find it here. I also made this for the There She Goes challenge which is a recipe: Kraft card base, black white and a splash of color, dry embossing. This was so much fun. I won a $50 gift certificate from TSG so I snagged the You're a Hoot stamp set. I love this set! So you pull the top white ribbon and the inside panels slide out. This is so cool! It took a little time to get how to do this, but I think once you've tried one - to make more will be easy. Close up of the top panel. I really love all the images that came in this set. And here's the bottom panel. Aren't those flowers adorable? 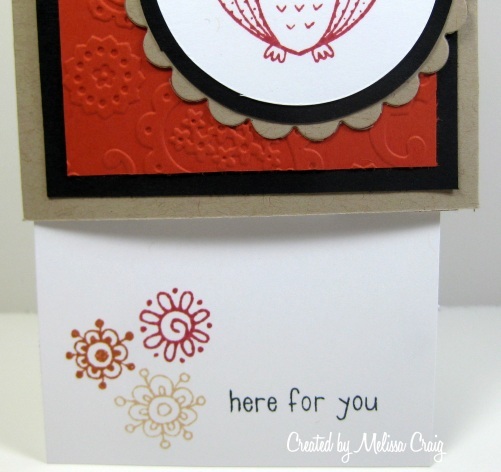 I hope you like my card - it feels good to stamp again. I think I better just do it the whole day while I'm on a roll, don't you? LOL I wish I could but unfortunately there's floors to vacuum, toilets to scrub and groceries to buy. Enjoy your Saturday! Good Morning! 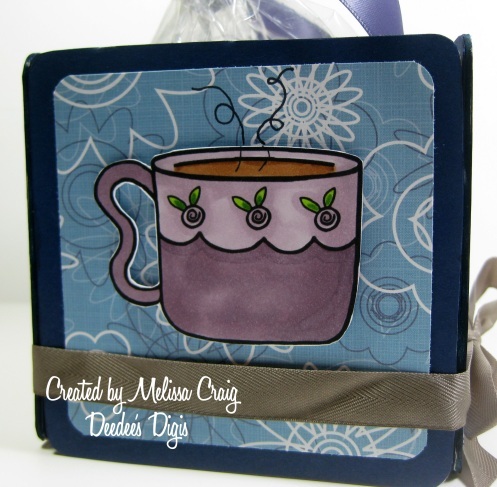 I have such a fun challenge for you over at Tuesday Morning Sketches. This one I called "Trick or Treat, smell my feet. Give me something good to eat!" Haha!! 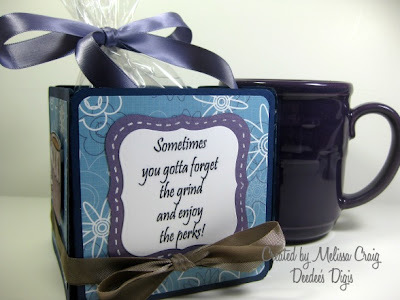 It's all about yummy treats and packaging. This challenge is being sponsored by Deedee's Digis. I picked up a package of Ferrero Rocher candy because I wanted to show you how easy it is to dress up an already pretty package. This type of packaging is for those moments when you are short on time but you still want to present a special gift to someone. So I cut a frame that I got from Penny Duncan Creations and made sure it was smaller than the packaging so the beautiful gold of box became part of the design. I used one of Deedee's newest digis called Halloween Hoot - which is such a great image for this time of year. But it's so versatile in that, if you wanted to use a leaf punch and punch out lots of leaves in different colored card stock and stick them to the branches - you can also use this image as an adorable Autumn card. Here's a side view so you can see the yummy candy. This was so super simple to do. So the next time you're in a pinch with time, like my Dad always said, work smarter - not harder. I hope you join us in the challenge this week. It will be a lot of fun! I can't wait to see what you make. Thank you so much for stopping by today! Good Afternoon! I hope you all had a great weekend. My weekend was really nice. My mother treated me and my kids to a day at Sea World on Saturday - which was fantastic!! I also got a job that I supposed to start today, however, I got down there and waited for an hour and forty minutes for them to simply send us home. They don't have all their ducks in a row, so now we don't get to start until Wednesday. We is me and the 49 other people that were hired. Oh well, another couple of days to play before I have to be a serious employee again. I made this card and shared it on Crafting with Deedee's Digi's blog yesterday. I made this card by following the sketch from Our Creative Corner. I used You Are My Sunshine digi from Deedee's Digis. I am going to change out the sentiment though - we received some very sad news that Deedee's grandmother passed away over the weekend. From what we understand this was a bit unexpected. Please keep Deedee and her family in your prayers. I hope you like the card and thank you for stopping by! I have lots of stamping to do and then I have to help Brendan bake up some cookies. It's his homework for Spanish class. I made a mini themed album. This was so much fun to do and really very simple! I started with a clean frozen pizza box, my Cricut w/deep cut blade, and a fantastic SVG file from my friend Penny Duncan! I imported in the largest size of her Pumpkin shaplies and cut out four pumpkins from the pizza box. Then I cut the decorative paper to cover the shapes, you have to do this twice for both sides of the shape. Time to dress it up. I cut out a smaller size of the shaplie to create the dark night behind my images. I typed out the title using Matisse font and then cut it so it looked like an old wood sign. Then distressing it by inking it with Going Grey and Tuxedo Black. I did that for the moon, too. 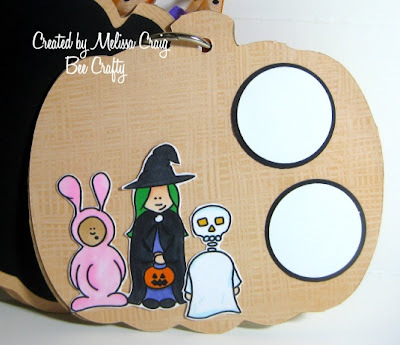 Using the super adorable Halloween set from Bee Crafty, I printed out all the images that comes in the set. For the bats, I imported in one and sized it to the desired size. Then I copy/pasted it so I had another bat. I made that one smaller and flipped it. 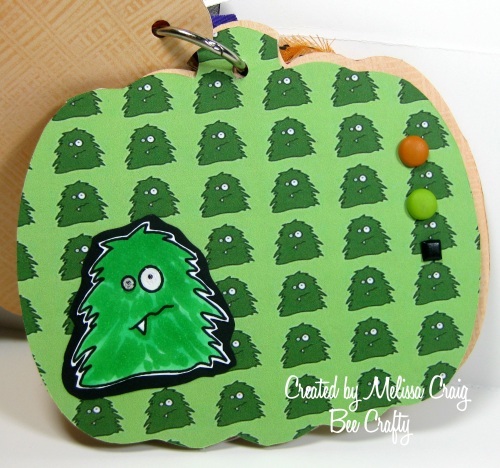 These other images you see are the sweet little monster and his matching digi paper. This is going to be a fun little album to add some sweet pictures of trick-or-treaters. I gave it to my Mom. Because I added the brads in the previous page after the cardboard was covered with paper, I needed to hide the prongs on the other side. So using a CC Designs stamp, I stamped out the word BOO and added it to my design using pop dots. I then left a nice sized mat for a photo. Here's the next page for another photo. I really love this pumpkin image that comes in the set. It's just lovely! And here's my last page. When I was cutting this image out, I accidentally cut the skeleton ghost off and then that turned out to be a happy accident because I was able to fit it better on the page. Then I added a couple more spots for pictures. 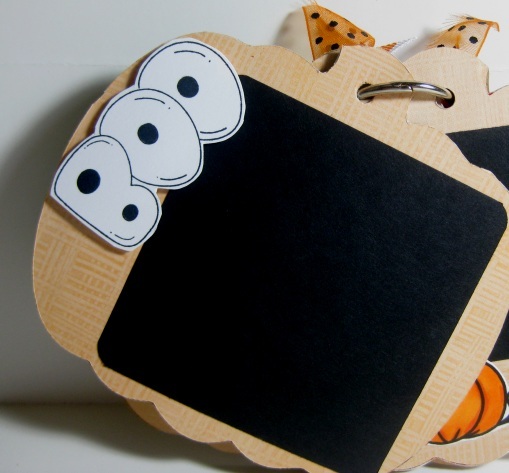 Then to finish it off, I stacked the pages and using my Crop-a-dile I punched a hole in the stem of the pumpkin, added a binder ring and some ribbons. Viola! Mom can now add some pictures of this Halloween's festivities. 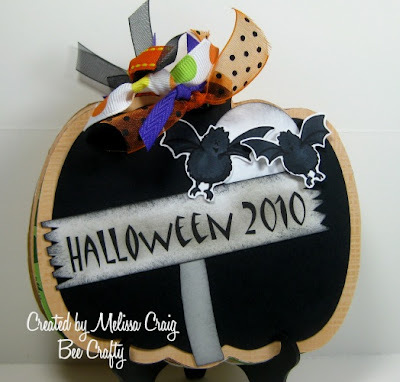 I am also entering this into the Fussy and Fancy Friday challenge (Halloween projects) and Charisma Cardz challenge (Autumn colors). I hope you enjoy my project and that you give it a try! Shaped mini albums are so much fun! Happy Saturday to you and thanks for stopping by. Mom, the children and I are off to Sea World today. Good Afternoon! I hope you're enjoying this lovely Wednesday. The weather is finally cooling a bit here in Florida, which is a really nice break from the 95+ degree temperatures we were having. 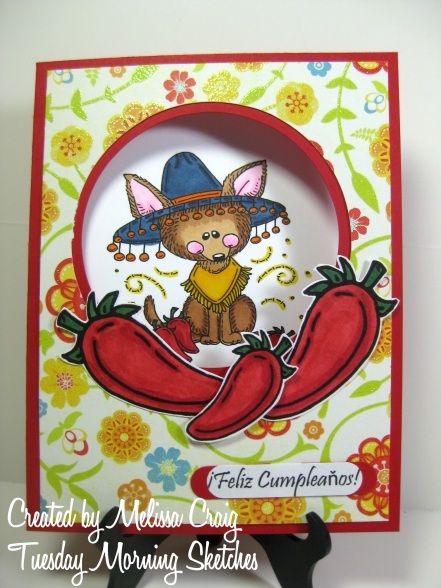 I made this card to participate in Design Dollies sketch challenge. I'm getting this in barely under the wire. I am not dreaming of winter or snowflakes or anything of the sort. I didn't have any doilies per their sketch so this was my improvisation. 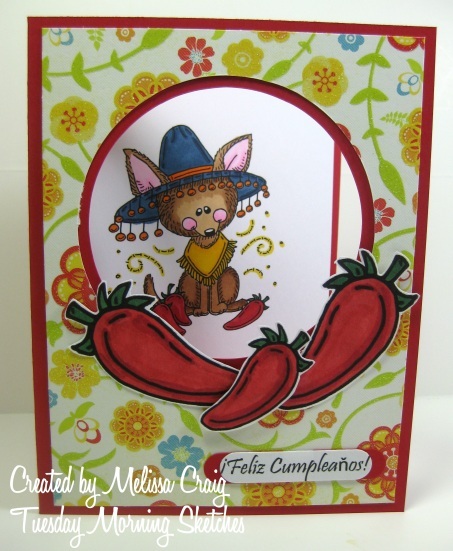 For being a pretty easy sketch, it sure took me a long time to get this card done! I think I left my mojo in bed. Thanks for stopping by today! I wish you well. Oh and stop by my sister's blog and wish her a Happy Birthday!! Good Morning! I hope your week is going well so far. I am still hopeful that I'll find a job very soon, but I would certainly appreciate you keeping me in your prayers and happy thoughts. Speaking of happy thoughts, tomorrow is my sister Theresa's birthday and as you know she is one of my original DT members when I began TMS a year ago. She's has been there to back me up when I needed it and has come to the rescue to help me think out some challenges (past and future). Please, stop by Theresa's blog and leave her a little birthday love. Not only is she celebrating her chronological birthday, but she's also 3... 3 year breast cancer survivor! I thank God for that! I am so happy with how this card came out. I really loved my sketch, too. It's a fun sketch, please head on over to Tuesday Morning Sketches to join us. Meljen's Designs is our sponsor and her images are so wonderful! She's offering 4 digis to the winner. In this view you can see how big that aperature is - it's so fun. And pretty simple to do. In this picture you can also see the little chili peppers at the Chihuahua's feet. In my photo editing software, I cropped out the pepper on the right, did a little clean up and then imported into my word program. I love being able to do this, because I was able to get larger chili peppers and even get one going the other direction. And reaching into my Hispanic heritage, my sentiment is Happy Birthday in Spanish. Thank you so much for stopping by today! I do love it when you visit. Good Afternoon everyone. I know I am really late posting today. The card I have to share with you today I made for a couple of challenges - The Sweet Stop always has such a great sketch to work and in celebration of WCMD they are offering a fantastic prize, so of course I want a chance to win. I am also entering my card in Stampin' Sisters in Christ where their inspiration comes from Genesis 1:1 - the very first glimpse into all the beauty of what God created. So add a touch of nature. I just got this mini TSG set. I got it from someone who was selling it on SCS for just a few dollars! I am so excited! I also used a favorite color combo of my sister Theresa's and I think it turned out very pretty. 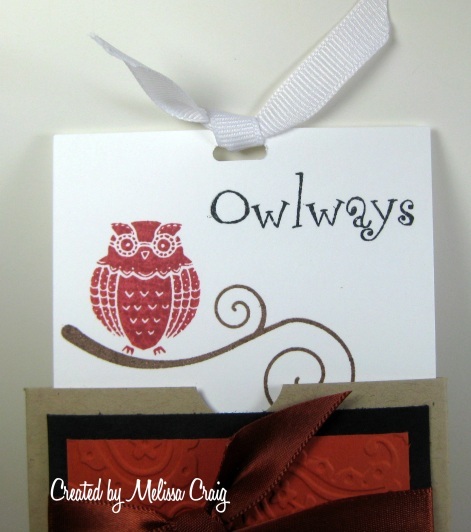 I hope you like my card. Thank you for sharing a moment of your time with me by visiting me today. Good Afternoon everyone! I hope your Saturday is going well for you. The weather is gorgeous here in sunny Florida. It's not too hot today, its just pleasant. The card I have to share with you today is for a couple of challenges. The first one is for Just Us Girls. It's their one year anniversary! A big congratulations to you all!! 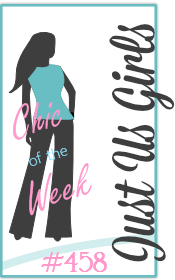 I love this challenge blog and have had the priviledge recently to be Chic of the Week. I am also participating with Raise the Bar challenge. I rarely get to play along so I wanted to be sure to get in on their F.A.L.L. challenge (Flower, At least 2 ribbons, Lots of Leaves). I had a lot of fun with this one. It's pretty much done digitally. I have this great digi-paper pack that I got from A Cherry on Top. 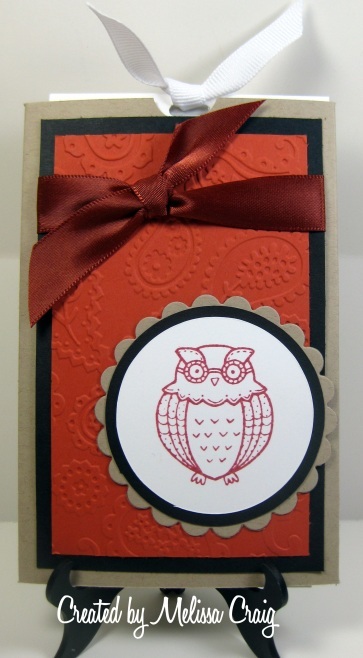 I imported the red polka dot paper into my Word program and then imported the journal box and placed it over the paper. Its .png format, so it's transparent. 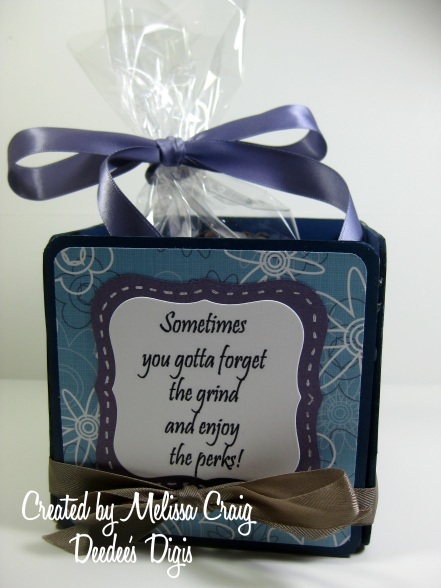 I then imported in the image which is from CC Designs and sized it to fit inside the journal box, Then I drew a text box for my sentiment and I drew another box that I left blank. 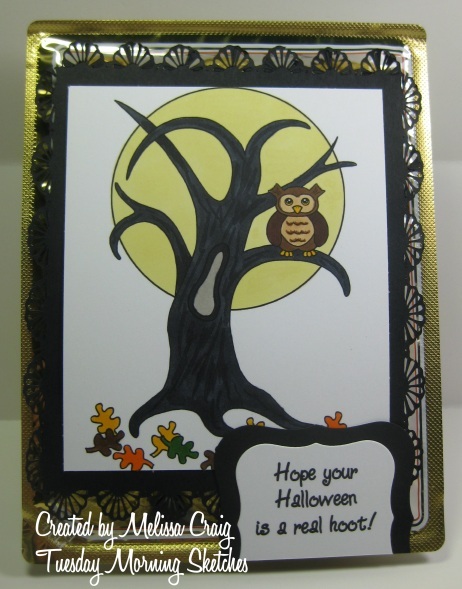 I then printed it, colored it and masked off the blank box so that I could stamp the leaves using a stamp also from CC Designs. 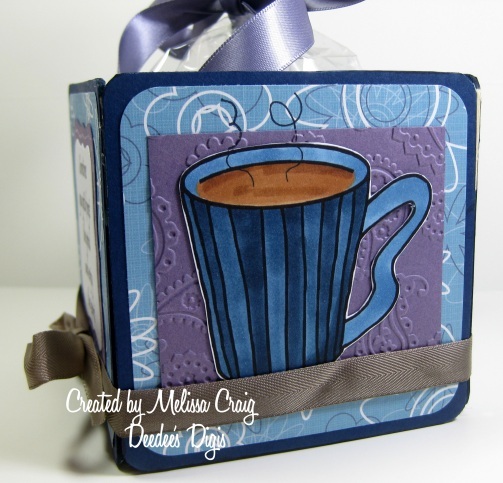 I layered it to another mat, added the ribbons and then adhered to my base. Easy card! I hope you enjoy my card. Thank you so much for visiting blog today. I hope the rest of your day is a great one. OK, now I am off to watch Dennis the Menace with Levi. Have fun!